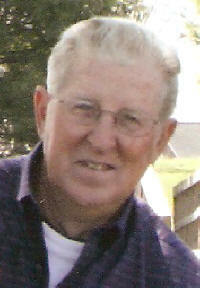 Alfred H. Becker, 75, of Bartelso, died Saturday, February 2, 2008 at his residence. He was born August 25, 1932 in Bartelso to Joseph and Otilliea (Hollenkamp) Becker; they preceded him in death. Also preceded in death by a brother Herbert Becker, and brothers-in-law, Alphonse Rensing, Roman Weber, John Rehkemper, and Joseph Georgy, a sister-in-law, Alvina Becker. He married Helen Rehkemper on May 2, 1956 at St. Rose Catholic Church; she survives in Bartelso. Also surviving is his children, Brenda (Gervase) Eversgerd of Germantown, Brian (Carol) Becker of Germantown, and Bonnie (Craig) Markwardt of Nashville. 7 Grandchildren-Tonia (John) Schroeder, Teresa (Josh) Haar, Luke (friend Jackie Hegger) Eversgerd, Kelly (friend Ryan Hipkins) Becker, Brittany Becker, Jessica Becker, Keith (fiancée April York) Markwardt. A Brother, Roman (Friend Florence Goestenkors) Becker of Bartelso. Sisters, Adele Rensing of St. Louis, Dorothy Weber of Bartelso, and Emma (Don) McKee of Highland. Sisters-in-law JoAnn Becker of Belleville, Barbara (friend Erwin Kalmer) Georgy of Trenton, and Helen Rehkemper of St. Rose. Alfred was a self employed Hog and Grain Farmer. He was a member of St. Cecilia Catholic Church, 50 Year Member of Clinton County Farm Bureau, Little Egypt Pork Producers, Bartelso Knights of Columbus Council 4745, and the Bartelso Young at Hearts Club. Funeral Mass of Christian Burial will be Tuesday, February 5, 2008 at 2:00 PM at St. Cecilia Catholic Church with Fr. Henry Fischer officiating. Interment will follow in St. Cecilia Cemetery. Visitation will be Monday, February 4, 2008 from 4:00-9:00 PM and again on Tuesday, February 5, 2008 from 11:00 AM-1:30 PM at the Moss Funeral Home in Germantown. Memorials can be made to VNA-TIP Hospice or to St. Cecilia Catholic Church and will be received at the funeral home.